Students selecting this major may also major in Education and seek licensure as an elementary and/or special education teacher. There are two primary goals of the American Studies major. The first goal is to help students acquire an understanding of American thought, institutions, and culture, utilizing a historical and cultural approach. A knowledge of history, society, politics, and culture will enable students to better comprehend the world they live in, the problems of their society, and their own lives. The second goal of this major is to assist the student in developing his or her critical thinking skills: analysis, problem-solving, research, writing, and evaluation. The major not only emphasizes content and information, but is designed to foster the transferable skills and attitudes which will increase the ability of American studies majors to find employment, no matter what their occupational goals. The ability to make decisions, to solve problems, and to hold informed opinions are characteristics desired by employers everywhere. For more information on the American Studies / Elementary and/or Special Education Teacher Licensure Program, click here. (123 credit hours) Requirements are subject to change. For more information about the American Studies major, contact Professor Thomas Carty of the Social Sciences Department, at (413) 748-3254 or the Admissions Office at (800) 343-1257. *Note: ENGL 241, 242, 251 and 252 can also be used to meet this requirement if not previously used as a selective or if repeated under a different topic. Completion of the following requirements ensures successful completion of the Education major with a specialization in Elementary and/or Special Education Teacher Licensure. For students pursuing dual licensure in Elementary and/or Special Education, EDUC 461 and EDUC 468 must be taken for a total of 8 credits each (16credits total for both). 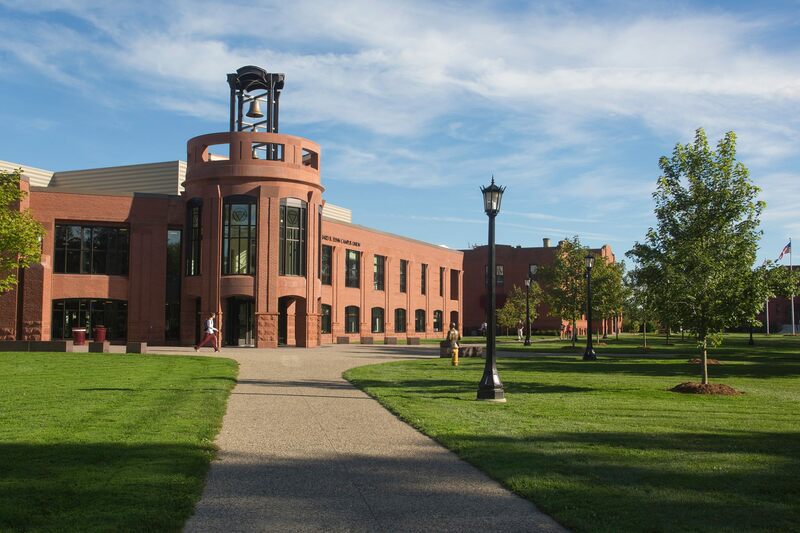 Once admitted to Springfield College, the student must meet the following requirements in order to become an official candidate for licensure and get formally admitted to a specific teacher preparation program. This typically occurs prior to the student’s junior year or the equivalent for transfer students. Follow the appropriate course of study based on the field the student is interested in teaching. This includes majoring in an acceptable major for that licensure area and taking the required teacher preparation courses. This enables the student to fulfill the prerequisites needed to gain admission to a teacher preparation program. Examples of acceptable majors and licensure areas are psychology for early childhood; American studies, English, or mathematics and computer technology for elementary and/or special education; biology, English, history or mathematics for secondary; movement and sports studies for physical education or dual health & physical education; art or art therapy for art education; and health promotion for health education. Complete, or be in the process of completing, all prerequisites identified for the specific program. Demonstrate the personal characteristics/professional behaviors needed to become a quality teacher (i.e., responsible, dependable, hard working, professional, committed to the teaching profession, etc.). Be recommended for admission into a teacher licensure program by the appropriate major department and the Education Department. For students in health and physical education, the only recommendation required is from the Physical Education and Health Education Department. Receive a passing score on the Communication and Literacy Skills Tests (reading and writing) of the Massachusetts Tests for Educator Licensure (MTEL). Note: Students who have been admitted to a teacher preparation program must maintain all the admissions requirements listed above through the semester preceding the practicum (student teaching) in order to be eligible to begin the practicum experience and must maintain cumulative GPA’s in order to successfully complete the program. Once all admissions requirements have been met, the student must fill out the application for admission. Applications are available from advisors, departments, or the Educator Preparation Office. The Director of Educator Preparation & Licensure will review the completed application and notify the candidate of the admission decision. If a student wishes to appeal this decision, a written appeal must be submitted to the Educator Preparation Council.